NORQUAY, JOHN, politician; b. 8 May 1841 near St Andrews (Man. ), the fifth of six children of John Norquay and Isabella Truthwaite; m. in June 1862 Elizabeth Setter at Parkdale (Man. ), and they had three daughters and five sons; d. 5 July 1889 in Winnipeg, Man. John Norquay was a descendant of Hudson’s Bay Company servants who had worked on the northern rivers and the shores of Hudson Bay during the 18th century. His maternal grandmother, Elizabeth Vincent, was the daughter of a “country marriage” between an Indian or Métis woman and an HBC officer. John’s father, a reliable jack of all trades at Norway House (Man.) in the mid 1830s, moved to the Red River Settlement in 1838 where he acquired a small farm and a few head of livestock. John had an unsettled childhood. His mother died in 1843 when he was two and his father in 1849. He was then raised by his paternal grandmother, Mrs James Spence, and by his teachers at the Anglican St John’s Collegiate School in Red River. An able student, he soon became the protégé of David Anderson, bishop of Rupert’s Land, who provided him with odd jobs and, in 1854, with a scholarship which allowed him to remain at school. After graduation from St John’s Collegiate School, about 1857, Norquay taught in the settlement. In 1858, at age 17, he was master of St James’ Church school, and the following year moved to Parkdale where he met Elizabeth Setter, who was also a mixed-blood; they married three years later. In the mid 1860s they went to High Bluff near Portage la Prairie where Norquay engaged in farming. During lean times he traded furs on Lake Manitoba; he never achieved prosperity. Elizabeth, who died in 1933, was to recall that during these years they lived close to the land, in a log house with a mud fireplace and chimney, and with furniture constructed in the settlement. Their clothes were made from homespun wool, their flour was ground from wheat grown on their own land, and their soups were made from barley hulled in a wooden bowl with a wooden mallet; a rich dessert cake made with dried raspberries, blueberries, and saskatoons added a touch of luxury. 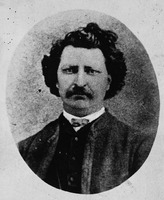 Politics, including the troubles of 1869–70, did not affect the family directly, although Norquay attended several of the public meetings concerned with Louis Riel’s provisional government and the transfer of the northwest from the HBC to Canada. When his cousin, also John Norquay, was elected to the provisional government, Norquay signed his election certificate. But the citizens of the new High Bluff constituency, meeting on 27 Dec. 1870, elected Norquay by acclamation to serve in Manitoba’s first Legislative Assembly. 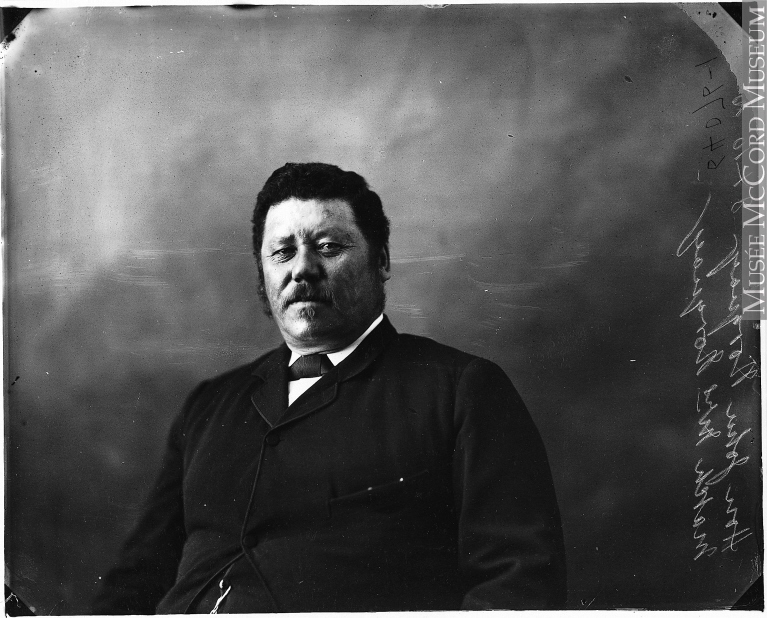 From about 1874 to the early 1880s Norquay and his family were to live on a small farm north of Winnipeg in the St Andrews district where English-speaking mixed-bloods were numerous. His personal finances were, if not straitened, certainly limited, but his salary after he had become a minister of the government in 1871 was sufficient to maintain a comfortable household: his children attended the schools of St John’s (Anglican) parish. 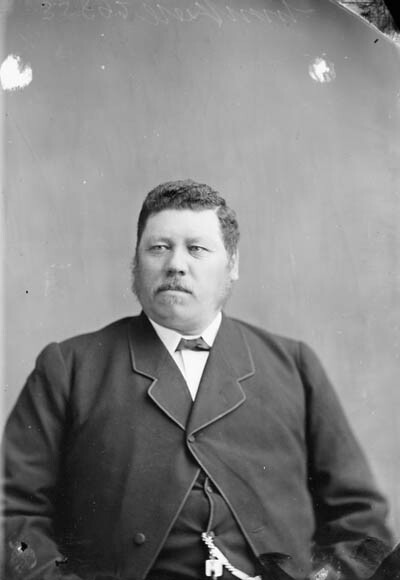 Norquay’s high standing in the Anglican community and among the English-speaking mixed-bloods undoubtedly played a part in his election as St Andrews’ political representative in 1874; he retained the seat until his death. Beginning in 1875 he was elected annually to represent his church at the synod of the diocese of Rupert’s Land, and was regularly named to its executive committee as well as to the boards of St John’s Collegiate School and St John’s Ladies’ School. Norquay was regarded with respect by most of his fellow citizens but also with a measure of good-natured amusement. 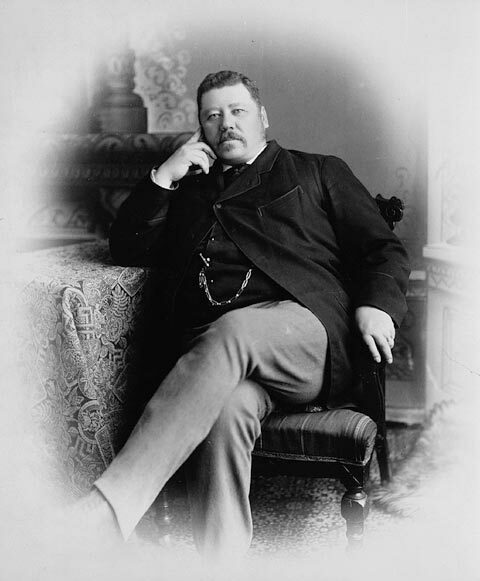 His great size – he was over six feet tall and weighed about 300 pounds – prompted Quiz, the Winnipeg satirical newspaper, to poke fun at the picture of Norquay crushing the dainty chairs in the civilized salon of Governor General Lord Lorne [Campbell*]. Although crude comments concerning his mixed-blood ancestry were inevitable (in 1875, for example, Donald Gunn*, a member of the Legislative Council of Manitoba, referred to him as “Greasy John”), the prevailing mood was one of tolerance. His ability, education, and personal warmth, and the sense of continuity in the small society in which he lived, ensured that in the 1870s he would be a valued public servant. 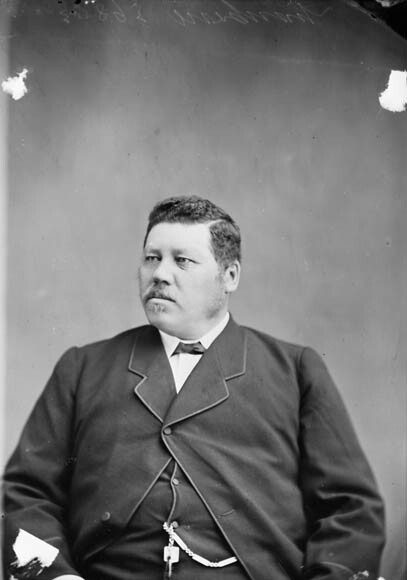 Norquay had assumed leadership of one faction of English-speaking mixed-bloods in the unstable political situation which followed the Manitoba Act of 1870 and the arrival in the new province of Lieutenant Governor Adams George Archibald* in the same year. His position at this time was comparable to that of Dr John Christian Schultz* among the new Canadian element or of Joseph Royal* among the French Canadians from Quebec. As a representative of one of the moderate elements he soon became a member of the Board of Education of Manitoba, a justice of the peace, and even a supervisor of a smallpox quarantine. His stock rose still higher in the fall of 1871. The Canadian “Loyalists” created a chaotic situation, which challenged the government’s ability to enforce the law, by conducting a series of public protest meetings intended to get Schultz a place in the provincial cabinet. Archibald secured the resignation from the cabinet of Alfred Boyd*, an English Canadian member who could not stand up to Schultz at these stormy meetings, and replaced him as minister of public works and agriculture with Norquay, whom he described as “a halfbreed of fair education and good abilities.” By so doing Archibald had met and removed the issue of English Protestant representation which the Orange extremists had been stressing. 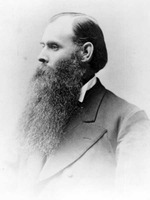 Norquay took the oath of office on 14 Dec. 1871 and under Archibald’s tutelage helped provide the stability which enabled the government to survive. Norquay administered a department which constructed and maintained roads, bridges, and public buildings. He did his job well, was liked, and was respected as an orator and a representative of the old order of Red River. In 1872 he ran for the federal parliament in Marquette but was defeated by Robert Cunningham* by a margin of three votes to one. 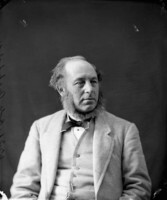 In his first years Norquay often collaborated with his erratic cabinet colleague, Henry Joseph Clarke, and resigned with the rest of the ministry in July 1874 after Clarke’s scandalous domestic arrangements and failure to protect Riel against Ontario-inspired legal charges alienated a majority in the legislature and led to a defeat of the government over proposals for redistribution. Because of his support for Clarke, Norquay did not serve in the short-lived government of Marc-Amable Girard* and was not invited into the Executive Council by Premier Robert Atkinson Davis* following the general election of 1874. But the group of English-speaking members of the legislature to which Norquay belonged could not be ignored, and in March 1875 he returned to the cabinet on the strength of Davis’ promise of an electoral redistribution to allow more adequate representation of the growing English-speaking community. A compromise revision of the electoral boundaries ensured eight seats for each of three groups: the French, largely Métis but with a growing number of French Canadians; the old settlers, largely English-speaking mixed-bloods but with many Selkirk settlers; and the new settlers, mainly English-speaking Ontarians. The new settlers were still under-represented but Norquay defended the special treatment of the Métis and mixed-bloods because of their contributions as pioneers in the west and their efforts to show consideration for newcomers. By 1878 Norquay’s ascendancy in the assembly was unquestioned and his moderate stance on public issues had made him a representative of not just the mixed-bloods but of all Manitoba. 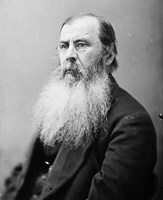 He had met with setbacks, for example during the recent changes in cabinet, and he had made some important enemies, chief among whom was Schultz. Nevertheless Norquay’s appointment to succeed Davis as premier in November 1878 was both predictable and popular. In the general election that month his government was returned with a majority similar to that of his predecessor; he could rely on support from a united French bloc, led by Joseph Royal, and enough English-speaking members to give him between 14 and 17 supporters in the 24-seat legislature. 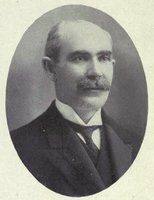 Norquay’s political career spanned a period which saw dramatic changes in the province. The population of Manitoba, which grew from 12,000 to about 30,000 between 1870 and 1877, doubled in the next four years and had doubled again by the time Norquay left office in 1887. These years of rapid development meant constant demands for more schools, public works, and land drainage, and for better and cheaper transportation facilities. Government spending increased dramatically from about $90,000 in 1876 to about $700,000 in 1886. The Norquay administrations between 1878 and 1886 were reasonably successful. His forceful negotiations and urgent representations at Ottawa won larger subsidies and enlarged boundaries for Manitoba, and his cabinets were competent in the administration of justice, public works, and agriculture. Nevertheless, there were problems in his government, and they lay in his relationship with his caucus and also with the eastern Canadian party system. 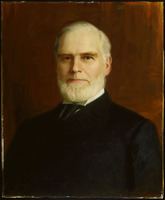 A Conservative in federal politics from the mid 1870s, Norquay had resisted the introduction of federal party lines into the provincial sphere, in part because he felt that a non-partisan front would strengthen his hand in negotiations with Ottawa and in part because of local political troubles. 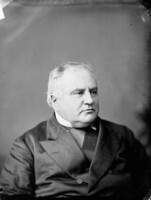 These troubles became apparent when, in the spring of 1879, he was nearly the victim of a political coup launched by his cabinet colleague Joseph Royal, with the approval of a leading Conservative in the opposition, Thomas Scott. This incongruous alliance of a French Canadian Roman Catholic from Quebec and an English-speaking Orangeman from Ontario was intended to cause a shift in support from the English-speaking mixed-blood premier to Royal and a new coalition cabinet. Royal probably believed that he could control most easily the introduction of eastern party divisions into Manitoba politics, while Scott undoubtedly wished to see the Conservative party firmly established in the province. The coup was overcome by Norquay’s swift manœuvring. At a hastily assembled caucus of all the English-speaking members of the legislature, Norquay condoned, if he did not actually initiate, a round of anti-French speeches, and then offered to lead an “English” ministry which would be committed to a curtailment of French language rights and political representation. The premier won majority support in the caucus and demanded Royal’s resignation from the cabinet. The challenge to Manitoba’s French population, however, was reduced to a minor electoral redistribution, in which French-speaking members were left in control of six or seven seats instead of eight or nine, and a bill to abolish the printing of some official documents in French, which was reserved by Lieutenant Governor Joseph-Édouard Cauchon and allowed to die by the federal government; by November 1879 Norquay’s compromise ministry included Girard. 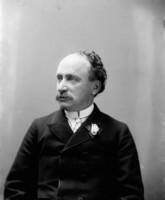 The premier had written to Sir John A. Macdonald* in June, “I regret very much that I had to adopt such extreme measures with Royal but his treachery left me no alternative.” The crisis had given Norquay further reason to distrust the influence of eastern Canadian party loyalties. His government, which won a resounding vote of confidence in the general election of December 1879, was, however, built upon an uneasy alliance of federal Liberals and Conservatives and of early French and English settlers, a coalition certain to collapse. The issue around which all of Norquay’s political problems seemed to gather was that of railways. The construction of the transcontinental Canadian Pacific Railway, the availability of branch lines, the level of freight rates, and the need for competition were at the centre of Manitoba politics in the 1880s. When the speculative boom in Winnipeg collapsed late in 1882, the city’s board of trade attacked the freight rates of the CPR and when early frosts and low grain prices affected Manitoba farmers in 1883–84, they too attacked the railway. At the heart of these complaints and the debates over railways was a clause in the 1880 federal contract with the CPR syndicate, inserted at the insistence of George Stephen*, which guaranteed the company a monopoly on western traffic for 20 years. The monopoly clause became the focus of Manitoba politics and of Norquay’s own struggle for political survival. The Manitobans’ desire for branch lines, competitive freight rates, and, it should be noted, speculative profits, resulted in applications for railway charters from groups of local businessmen as well as from investors in eastern Canada and the United States. Norquay’s government was bound to approve these charters. Members of the legislature assumed they could break the CPR monopoly by constructing branch lines within the province and by establishing alternate rail links to the east. Norquay believed that the construction of the former was legally within the province’s jurisdiction although his cabinet in developing policy was not so clear about the legality of building lines which would connect with American lines at the border. 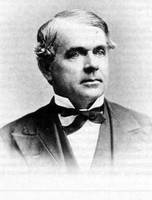 Prime Minister Macdonald, however, concerned with the health of the CPR, Canada’s reputation with international investors, and the interests of eastern Canadian commerce, was equally bound to disallow the Manitoba charters if they infringed upon the so-called “monopoly clause.” Conflict was inevitable. The first federal disallowance of Manitoba railway charters came in 1882. 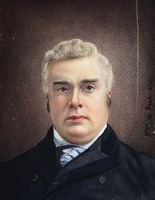 Within months Thomas Greenway*, a farmer and land speculator who had moved from Ontario four years earlier, formed a small “Provincial Rights” opposition in the Manitoba assembly which had connections with the eastern Canadian Liberal party. 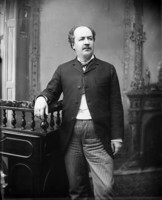 Greenway and his colleagues argued, probably correctly, that Norquay, an avowed supporter of Macdonald in federal politics, had acquiesced in the establishment of the CPR monopoly; certainly in 1879 and perhaps again in 1882 Norquay had agreed to respect federal rail policy in exchange for additional financial aid for Manitoba. Whether he liked it or not, Norquay was tied to the federal Conservative party by the railway politics of the 1880s. 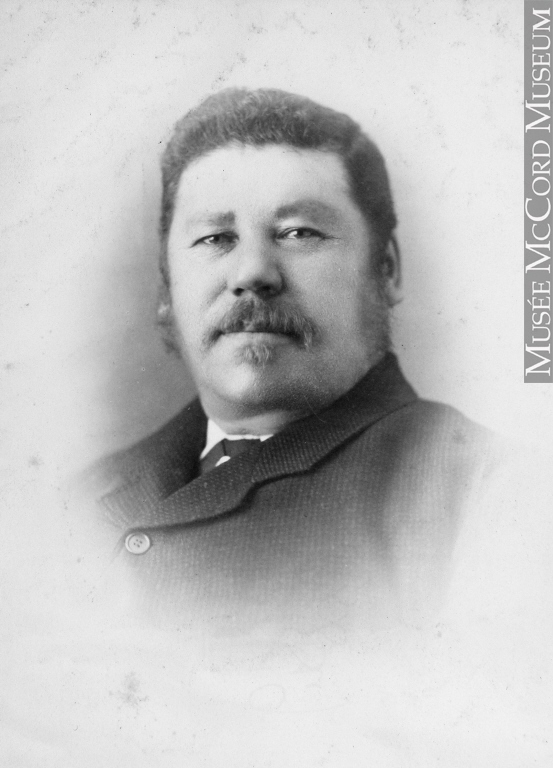 He realized the benefits of the association when better financial terms than those provided by the Manitoba Act were negotiated for the province, as they were almost annually between 1879 and 1885, and he realized the problems when popular demand for improved rail service threatened to defeat his government. Norquay was a Conservative premier because his opponents were Liberals, but he was not necessarily the Conservatives’ choice for leader. The premier, for example, had never been on good terms with Schultz and his “Loyalists,” and had alienated Scott in the 1879 ministerial changes. 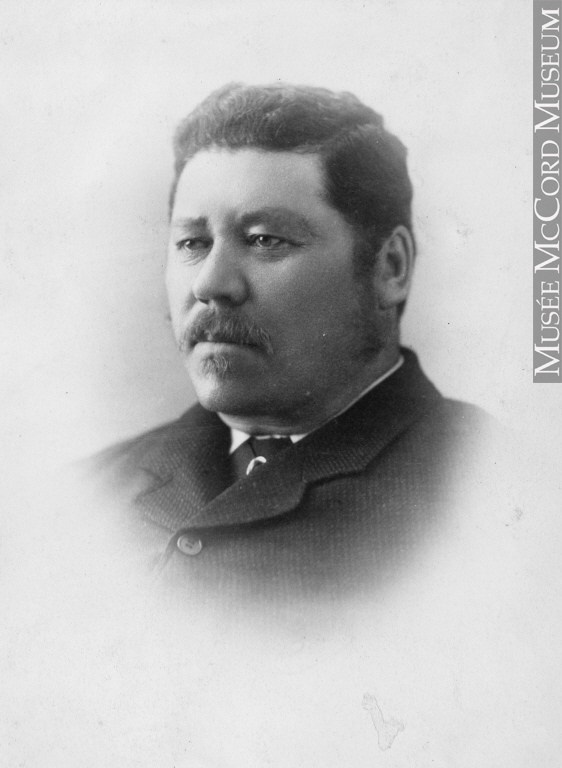 Other Conservative Orangemen from Ontario, such as Stewart Mulvey and Gilbert McMicken*, disliked Norquay because he was indecisive in his support of Macdonald’s railway policy. There were always a few, like William Wagner, who objected to him because of his mixed blood; “by N. the moccasin will show itself through the finest patent leather boot,” he wrote in 1885. Only the strong hand of Macdonald could quell the annual revolts from among the Manitoba Conservatives; only a command from his office could call out the troops to support Norquay in election campaigns. In 1883 Macdonald prevented the distribution of 10,000 protest leaflets, sponsored by the Orange order, which might have overturned the government; apparently because of an oversight, Norquay’s government had failed to pass a bill incorporating the order at the last sitting of the legislature. In 1885 a crucial ministerial by-election was saved by Macdonald’s telegram to prominent local Tories. According to Manitoba’s lieutenant governor, James Cox Aikins*, the public meetings held when Macdonald passed through Winnipeg in 1886 on his CPR junket rekindled local Tory enthusiasm and rescued Norquay from certain defeat in the general election. Nevertheless, Macdonald had reservations about the Manitoba government and, on occasion, wished that Norquay could be replaced. But he always concluded that the premier despite “many faults and weaknesses is loyal to the Dominion,” if not entirely committed to the dominion government. Norquay in the 1880s was a man of influence, travelling as an equal with leaders of society and with businessmen such as Alexander Walker Ogilvie* and William Bain Scarth. His tours opened his eyes to the potential for private gain that accompanied the western boom. Thus early in the decade he joined several small syndicates which underwrote a railway, a coal-mine, and two gold-mines, as well as engaging in land speculation. There was nothing unusual about his association with businessmen and their ventures because the contemporary code of ethics forbade only private gain at public expense, but these undertakings do illustrate Norquay’s membership in that large group of 19th-century leaders who combined political and business interests to the advantage of both. He rode the wave of optimism as if “to the manner born.” About 1884 he purchased a comfortable new house in Winnipeg, and during his trips on public business he spent lavishly. His style was that of a Canadian, rather than a Red River, politician; like the province which he led, he had made the transition from the fur trade to the world of industrial capitalism. His personal finances received a setback, however, when the Saskatchewan Coal Mining and Transportation Company, of which he was president, ran into financial difficulties in 1886, and, despite his frantic manœuvring, he was left with a $1,500 personal debt to his own government. What was worse, the opposition learned some details of his financial activities and accused him of bilking the people of Manitoba through his connection with a plot of land on which the provincial asylum was being built. The so-called “coal steal and asylum business” was investigated in 1886 by a royal commission headed by Chief Justice Lewis Wallbridge, which found the charges against Norquay to be groundless. Nevertheless, electors were not reassured. The government had failed to meet public requests for services and, through haste or carelessness, could no longer account properly for its expenditures. The popular vote in the 1886 election was divided almost equally between opposition and government. Norquay survived, but with a reduced majority. He owed his narrow victory to Macdonald, to a modest gerrymander, and to his promise that the CPR monopoly would be ended. The railway problem finally brought about Norquay’s humiliation in 1887. 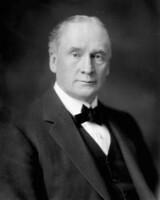 His cabinet, influenced by rural protests, the demands of Winnipeg businessmen, the calculation that the province had a constitutional right to charter branch lines, or the conviction that bluff and negotiation would achieve their goal, pressed the construction of the Red River Valley Railway from Winnipeg to the international boundary where it could connect with an American line. The first sod was turned in July 1887. Committed to a disallowance policy if it were necessary, Macdonald used every tactic possible to stop the railway. The CPR itself played a desperate game between the two governments, seeking not to preserve the monopoly, which the company’s leaders now regarded as doomed, but to secure a high price for relinquishing it. Throughout the summer of 1887 officers of the CPR obstructed the Manitoba contractors, subsidized sympathetic local newspapers, encouraged the revelations of Corydon Partlow Brown, a former Norquay cabinet member who wanted to avenge his removal from office, and kept in close contact with Macdonald, Governor General Lord Lansdowne*, and federal cabinet members. It was Sir Donald Alexander Smith*, a leading member of the CPR syndicate, who warned Macdonald that the Manitoba government had gone to London, attempting to negotiate financial arrangements for the Red River Valley Railway. 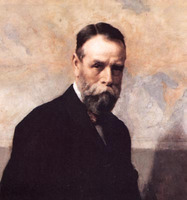 George Stephen, president of the CPR, informed Macdonald that the Merchants’ Bank of Canada would seek a dominion guarantee on further loans to Manitoba: “It appears Norquay is in extremis and it will be good for him if he is made to feel the effect of his misdeeds.” Just as Norquay had been kept in power by the prime minister, so he was removed from office by him. In September, Macdonald advised Lieutenant Governor Aikins that Norquay had misused government funds; a special land revenue account, moneys held in trust for Métis children, was said to have been used to pay ordinary government bills. 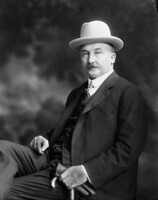 Rumours of financial scandal floated about Winnipeg for some weeks and then were made public by a former Norquay supporter, Edward Philip Leacock. At this point the pressure upon Norquay and his cabinet colleagues was intense. During these hectic months Norquay alternated between euphoria and bitter depression. He was the most popular man in the province in the summer, when the Red River Valley Railway was forging ahead, and an outcast in late autumn, when his failure was complete. He had travelled to Chicago, New York, Montreal, and Toronto in search of funds for the Red River road but everywhere Macdonald’s agents had preceded him. The Winnipeg merchant princes would not help him with financing. It was said that he had broken down in New York and gone on a spree and that, when reproached for his ingratitude to Macdonald, he had wept with remorse. Whatever the truth of such rumours, he was a dispirited man when he visited his friends around St Andrews in November. He still fought gamely, standing his ground in the face of accusations of corruption until, once again, Macdonald intervened. The prime minister was undoubtedly angry with Norquay for attending the Interprovincial Conference called by Premier Honoré Mercier* at Quebec City in October; the only non-Liberal in attendance, Norquay made the conference appear both bi-partisan and respectable. It may have been for this reason that Macdonald decided to play a more active role in the resolution of events. The occasion was a grant by Manitoba of about $256,000 to an entrepreneur for the Hudson Bay Railway; Ottawa had been supposed to grant the province 256,000 acres of land in exchange, but Macdonald denied that he had approved such a transfer: “I had to tell [Provincial Treasurer Alphonse-Alfred-Clément La Rivière*] that he must have dreamt this story.” He thus created a shortfall of $256,000 in the Manitoba public accounts. Norquay’s cabinet colleagues deserted and the government fell on 23 Dec. 1887. 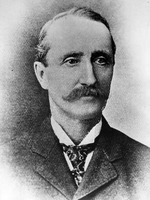 Its weak successor, led by David Howard Harrison*, was replaced within a month by the Liberal administration of Thomas Greenway which governed Manitoba for the next decade. The fall of Norquay was thus the herald of a revolution in provincial educational and cultural policy to be brought about by Greenway, Joseph Martin*, and Clifford Sifton*. Norquay did not despair as a result of this defeat. He continued to assert his innocence of wrongdoing. Because of his great abilities he won the title of opposition leader when Greenway took office. But the Conservative party loyalists no longer trusted him and during the 18 months between his defeat and his death they schemed to find a government appointment that would get him out of politics. Macdonald was, however, adamant about not giving a public service job to an enemy, so Norquay was forced to take a position as a law clerk. He narrowly survived the Greenway landslide in the general election of July 1888, and continued to lead a small opposition group, but he found no charity in the Conservative party. 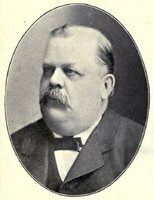 By early 1889 he was selling insurance to supplement his income as a member of the legislature. Despite his effective criticisms of the government he could find little public support. In early July 1889 he was struck by a sudden ailment, perhaps appendicitis, and because of the heat, the severity of the attack, and his own corpulence, quickly died. Anglican Church of Canada, Diocese of Rupert’s Land Arch. (Winnipeg), St Andrew’s Anglican Church (St Andrews, Man. ), Baptismal register, 1859–72, entries 271, 411, 473 (mfm. at PAM); St Mary’s la Prairie Anglican Church (Portage la Prairie, Man. ), Baptismal register, 1855–83, entry 299; Marriage register, 1856–83, entry 20 (mfm. at PAM). AO, Scarth (W. B.) papers (mfm. at PAC). PAC, MG 26, A; MG 27, I, I19. PAM, MG 2, C14, Anderson to James Ross, 4 Feb. 1854, October 1855; MG 3, B1, election returns, 1 March 1870; MG 7, A1, no.7953, “Reminiscences of the Rev. 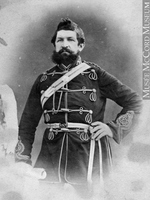 Benjamin McKenzie, Matlock, Manitoba,” 10–11 (typescript); MG 12, A, G. Hill to John Norquay, 17, 19 May 1871; B2, Alexander Morris to Alexander Mackenzie, 8, 10 July 1874; E, Donald Gunn to J. C. Schultz, 5 March 1875; S. Mulvey to J. C. Schultz, 5 Feb. 1888; MG 13, C1-C4; HBCA, B.154/a/31: f.9d; B.239/u/1: f.250d; E.4/la: f. 173d; E.4/2: ff.25d, 131d, 133, 158; E.5/10: f.22; E.5/11: f.18; “Notes on ancestry of Hon. John Norquay” (typescript). Church of England, Diocese of Rupert’s Land, Synod, Report (Winnipeg), 1877–89. Man., Legislative Assembly, Journals, 1876, app. : 16; 1886: 5–9, 15–18, 189–95; 1888–89, sessional paper, no.1. Manitoba Daily Free Press, 1874–89. Manitoban (Winnipeg), 1 July, 18 Nov., 16, 30 Dec. 1871; 7 Dec. 1872. Le Métis (Saint-Boniface, Man. 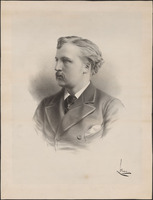 ), 23, 30 nov. 1871; 11 janv. 1872; 11 juill. 1874; 6 mars 1875. Quiz (Winnipeg), 9 Nov. 1878; 3 Feb., 1 March 1879. Winnipeg Daily Times, 1879–85. CPC, 1874–89. J. A. Jackson, “The disallowance of Manitoba railway legislation in the 1880’s: railway policy as a factor in the relations of Manitoba with the Dominion, 1878–1888” (ma thesis, Univ. of Manitoba, Winnipeg, 1945). W. K. Lamb, History of the Canadian Pacific Railway (New York and London, 1977). 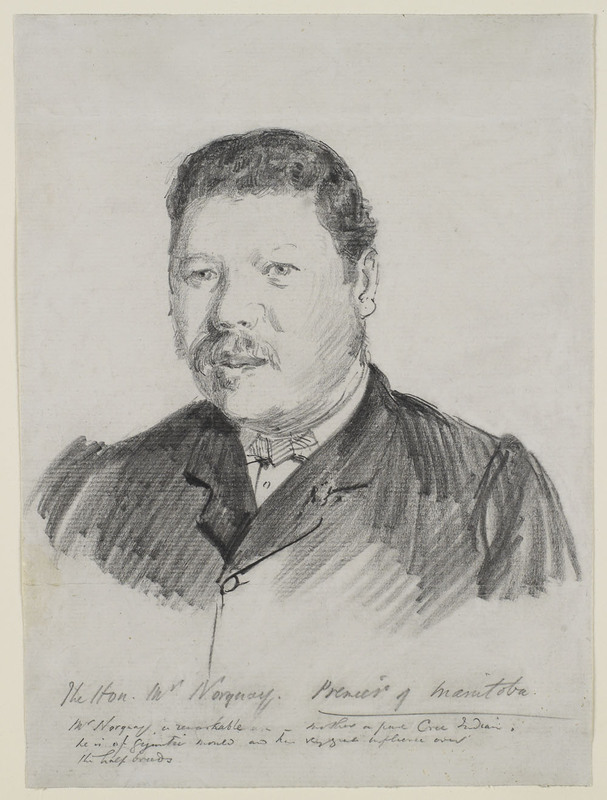 F. A. Milligan, “The lieutenant-governorship in Manitoba, 1870–1882” (ma thesis, Univ. of Manitoba, 1948). T. D. Regehr, “The national [railway] policy and Manitoba railway legislation, 1879–1888” (ma thesis, Carleton Univ., Ottawa, 1963). Ellen Cooke, “Norquays in the Red River disturbances,” Manitoba Pageant (Winnipeg), 21 (1975–76), no.2: 6–7. Gerald Friesen, “NORQUAY, JOHN,” in Dictionary of Canadian Biography, vol. 11, University of Toronto/Université Laval, 2003–, accessed April 24, 2019, http://www.biographi.ca/en/bio/norquay_john_11E.html.